(Bloomberg) -- Turkey’s opposition has taken the lead in a closely fought election in Istanbul, Sadi Guven, the chairman of the nation’s High Election Board, said in televised comments on Monday. 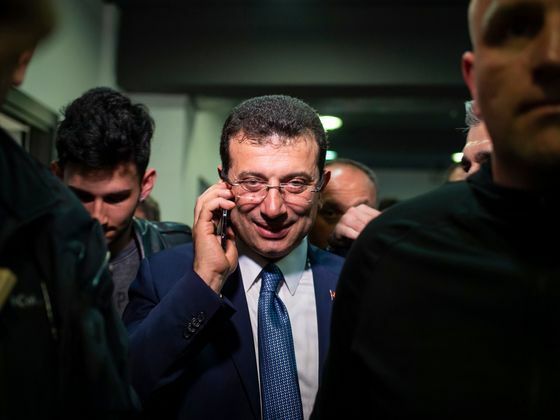 The results show opposition candidate Ekrem Imamoglu leading Binali Yildirim, a former prime minister and ally of President Recep Tayyip Erdogan, by more than 27,000 votes with more than 99 percent of votes counted, Guven said. The state-run Anadolu Agency had stopped updating results for more than six hours after Yildirim declared victory on Sunday evening. If the results hold, it’ll be the first time that Erdogan or an affiliated party have lost control of the nation’s largest city since he was its mayor in 1994. Neither Yildirim nor Erdogan have conceded defeat. “I don’t know where Anadolu Agency gets its data from,” Guven said in response to questions about the agency halting the release of count figures. The lira weakened as much as 2.3 percent against the dollar to 5.6978 and was trading 1.8 percent lower at 10:30 a.m. local time.